The second day of the Second Annual Rice Lake, Ontario, Canada http://www.ricelakecanada.com/pokerrun.htm a chance to win $500.00 dollars just for a get acquainted tour of Rice Lake. 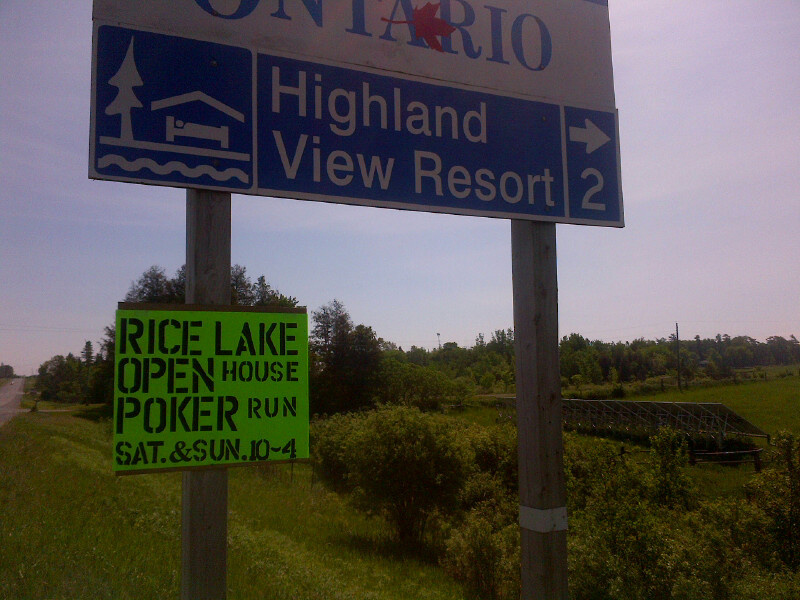 When you visit Highland View Resort you will also have an opportunity to win a “Family Pack of 2 adult and 2 youth Perks Cards for the Rice Lake Fishing Festival” all you have to do is answer a skill testing question about Rice Lake . Here is a hint. According to the Aquarius Rice Lake Guide, how many islands are there on Rice Lake. Multichoice “it’s the middle number on the sheet!” Now if no one guesses right we will dray for the winner so someone will win the prize. So stop by and say Hi. What a beautiful morning at 7AM it is already 17c and hardly anyone on the move save for a couple of early morning joggers. Even the anglers that were so gun-ho yesterday seem to be just relaxing and enjoying the peace and quite of this gorgeous Sunday morning of the Victoria Day long weekend. I bet that there will be a lot of activity out on Rice Lake this glorious day. Yesterday the fishing was good even with the brilliant sunshine and almost 30c temperature. There are some weeds in the bay but the water is clear and there are fish lurking in that weed forest. 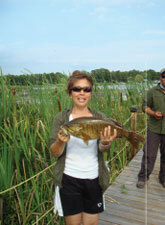 There is time for all those who want to escape the smog of Toronto, Mississauga, Makrham and Oshawa to take in a day trip to fish on “Fabulous Rice Lake”. We have boats for rent and a lot of free advice on where to go for the big ones. 4 days later and the gang has checked in! 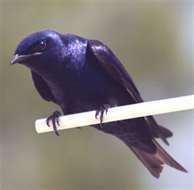 Yes, only four days ago the first Purple Martin scout arrived and yesterday the rest of the clan arrived en mass. The afternoon sky was filled with their distinctive chatter and acrobatic hijinks. That is the perfect start of a long hot summer. This year the birds have arrived early and seem more active than usual. The long weekend is just a couple of days away so if you haven’t yet made reservations you will miss out on what looks like a fantastic weekend in the country. The weather is going to be a friend with lots of sunshine and warm days and cool evenings, perfect for that after supper (BBQ of course) camp fire. 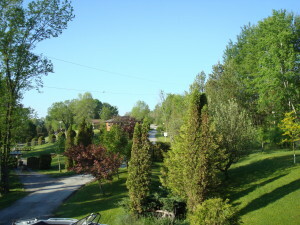 Check us out www.highlandview.com we still have a couple of cottages available. 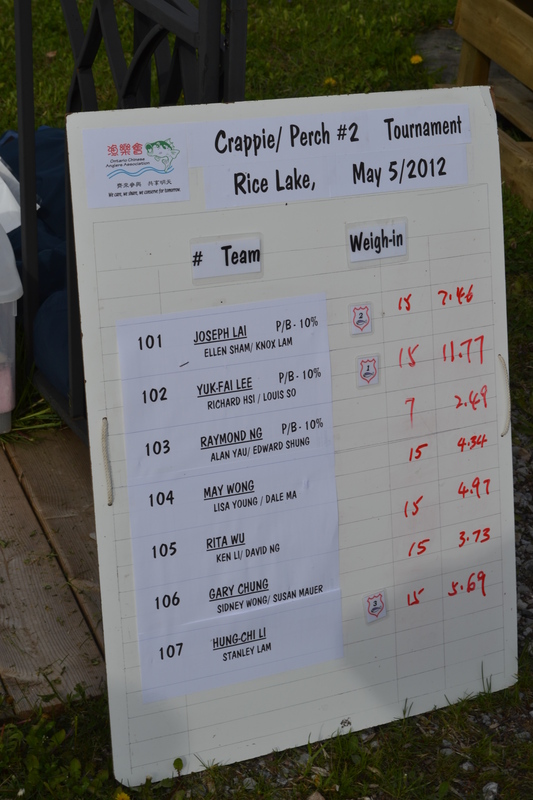 Even though we were busy here we made time out to attend the “Kick Off” for the Rice Lake Fishing Festival. The event was hosted by Elmhirst’s Resort, and they put on a fantastic Buffet Supper. Among the guests were The Honourable, Minister of Culture and Tourism Michael Chan, MPP Jeff Leal, Members of the Rice Lake Tourist Association, Northumberland and Peterborough Tourist associations as well as a number of other guests. It was well attended. It was a fun evening. The most commented topic was the large number of boats that were out for the opening of the walleye season. 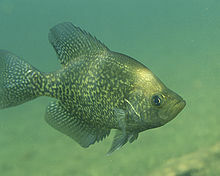 Pan fish like; black crappie, blue gills, sunfish, perch are great and tasty BUT for today walleye will rule. Yes, today is the opening, and it started at 12:01 on May 12, 2012. Last night there were several hardy anglers that were out there waiting for the midnight hour to catch their limit. Now the big decision, will they choose to have the first feed this morning or will they wait for lunch or supper. The weather is great The prices are right why not treat yourself and your family to a “Spring Get Away” at a great place to stay. Highland View Resort is only 90 minutes from Toronto and just 12 minutes from Peterborough. Don’t forget Mother’s Day tomorrow. Remember when you are out on the Lake think “SAFE BOATING” and don’t forget to use your life jacket. 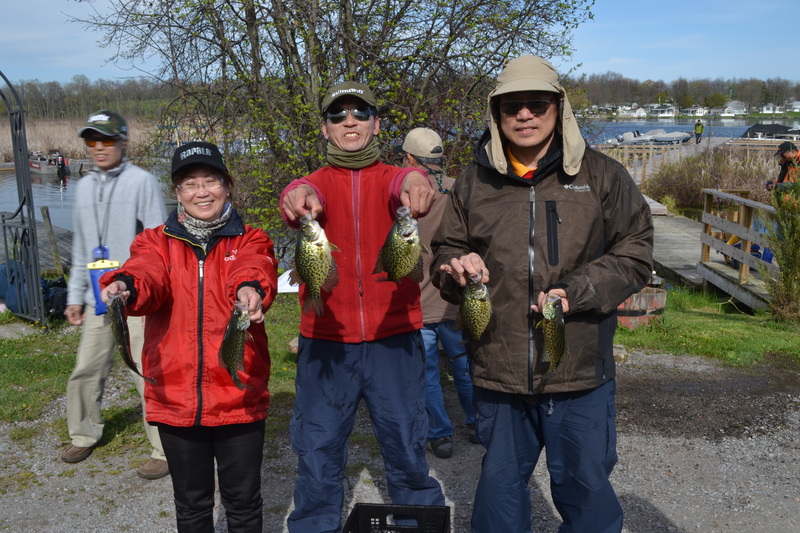 It started early in the morning and the Ontario Chinese Anglers Association were out in search of that succulent pan fish. 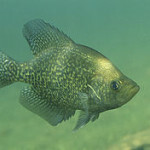 Yes they are out in Rice Lake and they will start to become more active as the water temperature warms. 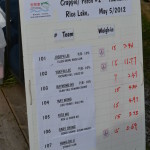 Their catch wasn’t too shabby 15 crappie 11.77 pounds! Pretty good. The weather keeps changing from one day to the next, will she decide to stay or just keep us in suspense. Yesterday saw the second wave of the Red Admirals butterflies they were all over the place this wave was a little more prolific than the last. I thought that I spotted a purple martin on the hydro wire but while trying to fetch my binoculars it flew off. However there was a Baltimore Oriole singing it’s heart out most likely looking to attract a nesting mate. Tonight is the night of a Super Moon it will be larger than most full moons because it is closer to the earth, last night’s moon was impressive can’t wait to see tonight’s revelation. 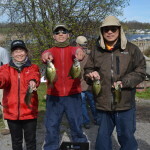 There is only one week left to the start of the Rice Lake fishing Festival, time to make reservations check out the Special Rates at Highland View Resort.